Last month, we posted that LG is expected to launch the Optimus Big smartphone with NOVA display. And now, LG finally announced the Optimus Big in South Korea. This handset currently runs on the Android 2.2 (Froyo) Operating System, but it will soon updated to the Android 2.3 (Gingerbread) OS. Optimus Big comes with a 4.3 inch NOVA display, which was earlier seen in the LG Optimus Black Smartphone. The NOVA technology enables the users to maintain a great visibility even under strong sunlight. This handset will be exclusively available on the airwaves of LG U+ in South Korea. Check out the specs below. LG Optimus Big features a 4.3 inch NOVA display, 1 GHz NVIDIA Tegra 2 processor, Android 2.2 (Froyo) OS, Wi-Fi 802.11 b/g/n, 3G Connectivity, 5 megapixel camera with autofocus, 3.5 mm headset jack, GPS, Bluetooth 3.0, HDMI port, 16 GB internal memory, 32 GB expandable memory and a 1500 mAh battery. 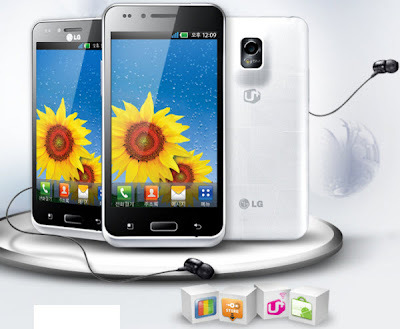 LG Optimus Big is available in two different colors – White and Black. This handset is currently up for pre-order in South Korea and it will be available for purchase from April 28th. Optimus Big is expected to arrive soon in other Asian and European markets.